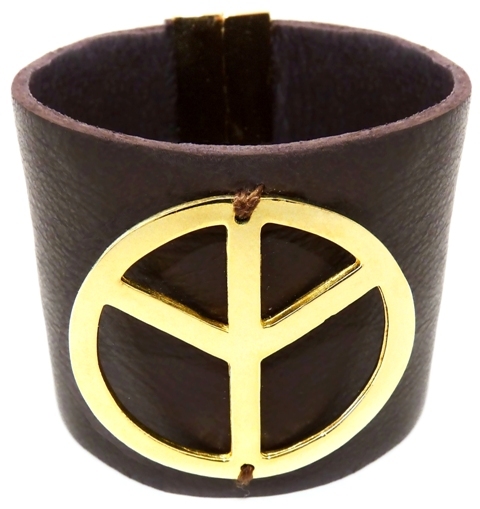 BROWN LEATHER CUFF WITH A GOLD PEACE CHARM AND MAGNETIC CLOSURE. **THIS ITEM IS NOW 70% OFF. ORIGINAL PRICE WAS $175.